The Chicago World’s Fair in 1893 did not just celebrate the 400th anniversary of Columbus arriving in the New World, but it also sparked the future success of Poland Spring water. Hiram Ricker’s Poland Spring water had already been a success, but after winning awards at the 1893 World’s Fair he returned home and purchased the Maine State Building that was featured at the fair. The building had to be dismantled in Chicago and transported to Maine via rail and reassembled where it still stands today. Ricker went on to open a golf course, bottling plant, springhouse, and the Poland Spring House which unfortunately burned down in 1975. After the Poland Spring House burned down the Maine State Building and All Souls Chapel were donated to the Preservation Society and in 1982 Mel and Cyndi Robbins purchased the property and have maintained and preserved it since then. For visitors to the property, the Maine State Building, Poland Spring Bottling Plant and Springhouse, and the All Souls Chapel are all available to tour and are filled with rich history. The Maine State Building was made entirely with materials from Maine to highlight the quality of resources and craftsmanship Maine has to offer. If the beautiful craftsmanship, wealth of history, and art museum are not enough, the Maine State Building is also the last remaining state building from the World’s Fair. 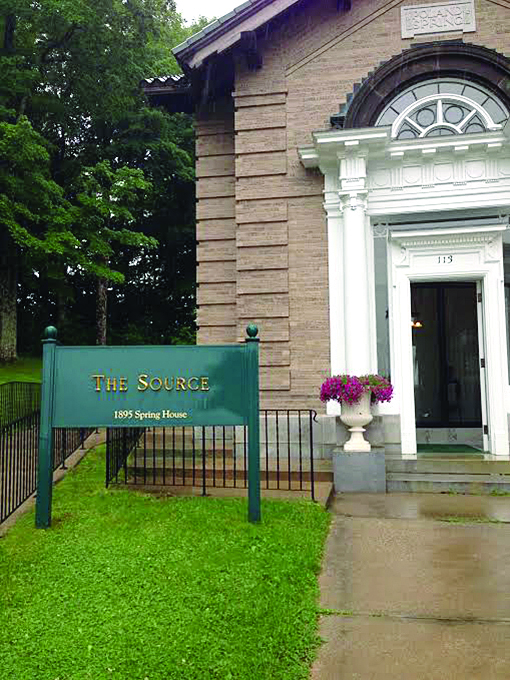 Adjacent to the bottling plant is a small building that houses a spring called the Source. 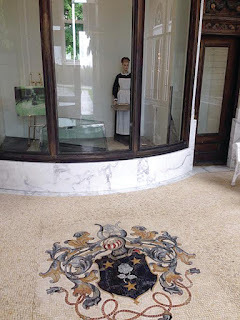 At the Source, chapel coordinator Kate MacGregor explained that “visitors would come to relax and wait for an attendant who would come with a sterling silver ladle and a crystal cup to give you your free sample” because “the Ricker family wanted people to know how sacred this water really was”. Inside the bottling plant one can see that the Ricker family got that message across. A wall of pictures shows various presidents and celebrities like Mae West and Frank Sinatra endorsing and enjoying Poland Spring water and the resort. Like the Maine State Building, the All Souls Chapel reveals a high quality of craftsmanship and materials and to this day showcases oak walls, hand laid mosaic floors, painted glass windows and a 1926 Pipe Organ that continues to play beautifully at weddings that take place in the chapel. The buildings and resort are enjoyed to this day as a site for weddings, concerts, golfing, and for the art gallery. Those who are interested can contact the society for more information about using the facilities. You can also support the Preservation Society by becoming a member or simply by visiting and showing your support for the location and its rich history. 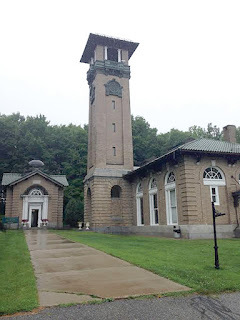 The Poland Spring Preservation Society is open from Memorial Day through Columbus Day weekend on Tuesdays through Saturdays from 9 a.m. to 4 p.m. and Sundays from 9 a.m. to 11 a.m. The Society is a non-profit 501© 3 organization and is dedicated to preserving the history and heritage of the Maine State Building and the All Souls Chapel, as well as providing educational programming for school children and the general public. Welcome one and all, to the most acclaimed and profound technology article that you may ever read. The talk of the towns, where the rubber hits the road, and the cat’s meow… It’s Technology Tune Up Time! 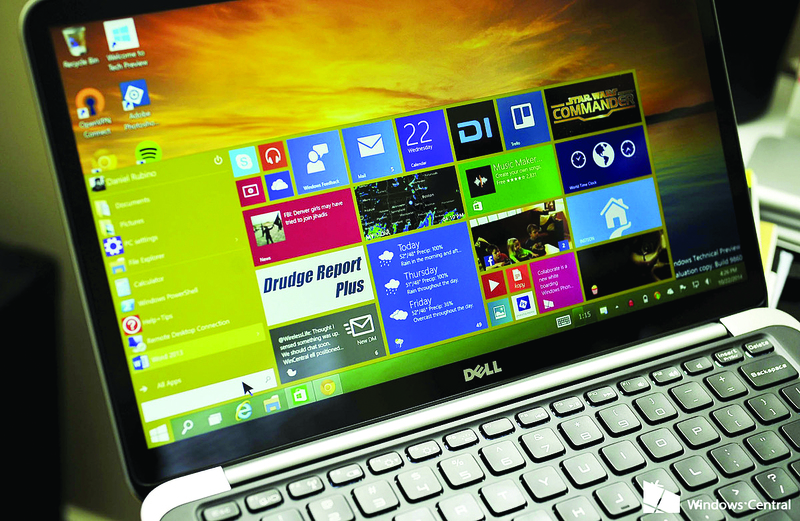 Though it has been a long while in development, as of July 29, Windows 10 was finally available on new systems. It has also been released to the public as a free upgrade through Windows Update. I will get to the free upgrade, and how you can get yours, but let’s first take a quick look back, to see what brought us to this point. On August 1, 2012, Windows 8 was RTM, “Released to Manufacturing.” This release was part of an assuming and progressive vision by Microsoft. Their thinking was to create one operating system that would run on all device types; computers, laptops, tablets, game consoles and phones. They predicted that there would continue to be a push toward touch devices and their growth in popularity. They also assumed that mouse and keyboard users, would adapt or gracefully fade out into the past. There are basically two types of device users, creators and consumers. Touch is okay for the general content consumer, but a keyboard, mouse and desktop is optimal for content creators. With the release of Windows 8 came a major push back from consumers. This operating system brought confusion and complexity. What really got the attention of Microsoft, was the same push back and disappointment from business and enterprise clients. They would never consider this as a reasonable upgrade path. Windows 8 was received as a mongrel with a personality disorder. Two worlds colliding. Half touch and half desktop operating system, each complicating and clashing with the other. Though Microsoft said that this was their vision and they were sticking to it, they in time saw the writing on the wall and made a partial reversal. Microsoft recalculated their futuristic vision. 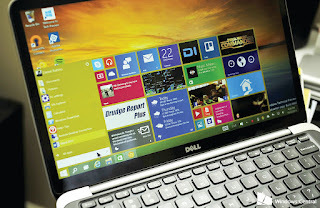 October 17, 2013, Windows 8.1 was available to the general public. These changes to the OS made it more usable, but it was not nearly enough and it was far too late. Windows 8 was to go down in history as being an even bigger failure than Windows ME or Windows Vista. Microsoft has since gone through some major business restructuring and has in many ways been born again. It has decided to once again listen to its user base and create an operating system for the people and for the future. This new OS has to be attractive to their most important clients as well, business and enterprise. Code named Threshold, Windows 10 is the result. A mixture of what was good about Windows 7 and Windows 8.1 mixed with a wealth of feedback, from a community of Windows Insider Program, Windows 10 testers. I am a member of the Windows Insider Program and have been running Windows 10 for some time now. Windows 10 is a good upgrade and I recommend it. I will use this OS as my primary on all my machines. All people owning a device running Windows 7 or Windows 8.1 will be offered this upgrade free, for one year. It is the opportunity to upgrade that lasts only a year, not the operating system itself. Once you have this Windows 10 upgrade, it’s yours to use free for the life of the device on which it is installed. That is a big deal! Now more about your upgrade path. You may have noticed a white flag in your system tray alongside your clock somewhere. If you click on this flag you have the option to upgrade. The upgrade push began on July 29. The upgrades will likely be rolled out in waves. If you don’t have the reservation flag showing in your system tray, no worry, you still will eventually be offered the upgrade through Windows Update. It is not unwise to wait a bit to see how this rolls out. If you have only one computer, and you are reliant on it, it may be a good idea to consider holding off for a bit, to see if early adopters have any trouble. Also, it is always recommended, that if you have a choice, it is always better to do a clean install, as opposed to an upgrade. This may be more than the average user wants to take on. If your system is more that a year old I would recommend a clean install. If you want advice or help with this upgrade give a professional a call. Bob is the owner and operator of Computer Mechanic, a Creative Technology Business located in Gray, Maine. His services include: Computer Repair both PC and Mac, Virus Removal, Advanced Data Recovery, Website Design and Hosting, Photo Repair and Restoration as well as Tutoring. He offers Onsite Service and Remote Connect options for your convenience. He is always available for Consulting. You can find more information on Bob, his business and contact info by searching for “Computer Mechanic Gray Maine” anywhere on the World Wide Web. In early spring 2015, the Schoolhouse Center for the Arts revived the Black Box Teens, a community service group that offers young people ages 12 and up an opportunity to make new friends and learn important life skills. The group produces shows to raise funds for the projects they would like to accomplish at the theater. When interest in the group was first renewed, the initial project they considered was to “flip” the Black Box Theater. Ashley McBreairty, one of the teens who initiated restarting the group, said the plan is to take the current stage out and build risers in that spot, where audience members would sit. The rest of the floor would then become the stage. Schoolhouse Center for the Arts board chair Cristina McBreairty said as they moved forward, the project ran into some issues around engineering. The project was put on hold while grant proposals are written and an engineer is found. Not wanting the group to lose enthusiasm, Cristina said they began to focus on other projects. “The plan is to utilize the black box the way it is,” she said. The Black Box Teens will put on a cabaret in the fall, using the current set up of the theater. “We didn’t want them to get discouraged just because that piece isn’t happening, because there are so many other components going on,” Cristina said. For now, the group is focused on turning what used to be an art room into a “green room,” the backstage area for performers to wait before going on stage. 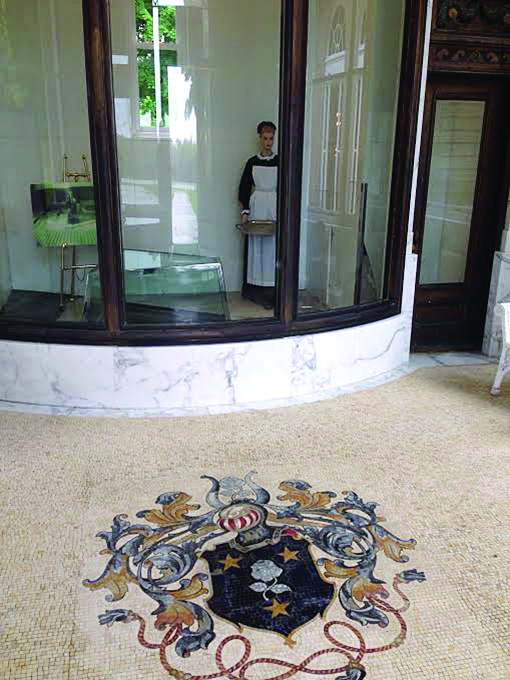 “They’ve made great progress,” said Cristina, including painting the floors and organizing the space. Cristina added that when they began working with the group, they asked each participant what their particular interests were. Some are on stage, but others are learning to help with production in other ways, like running the lights or handling costumes and props. “We used to have a lot of teens that got involved in this way, and they grew up and moved on, and now we need to replenish. This is an opportunity for them to have some ownership,” she said. The group has approximately a dozen active members, and anticipates more participation after summer ends. They have taken on projects like the green room, cleaning and organizing the attic, and organizing the paint room. All of these are projects that have been discussed in the theater before, but this group of teens is getting it done. As a result, said Olsen, the teens are becoming the experts on the Schoolhouse. 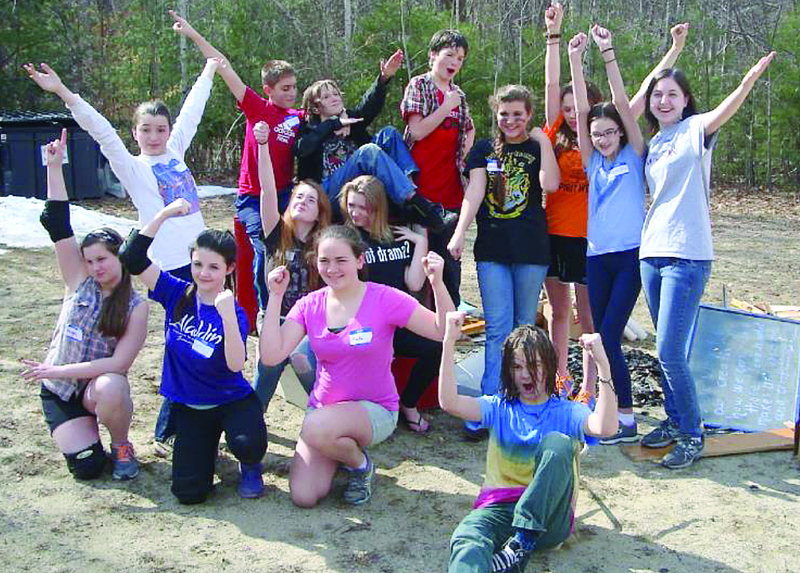 Often, the teens are underestimated, said Olsen. Corinne Ulmer agreed. “I think at our age we definitely get overlooked a lot, for lights, or props, or even costumes – they don’t really think about our opinions that much.” This group is giving them the chance to prove that they are capable. Ashley said that she is proud of the things they group has accomplished. “Utilizing the black box, the art room, the paint room, the attic…It’s all getting done by teens, and that’s what makes me really happy,” she said. Young people interested in becoming involved in the Black Box Teens can email the theater at schoolhousearts@gmail.com. For the past 13 days, I have faced the largest challenge of my entrepreneurial career. It is one that no business guru could have prepared me for and one that I never really considered when I struck out on my own. It has required almost all my energy, thinking, and time and has resulted in a few errors, upset clients and really late dinners. What is the challenge? My mother’s condition has worsened. Roughly two years ago my mother went into an Alzheimer’s unit for 24-hour care for one of the world’s most under-researched, under-funded, and dignity stealing diseases. Shortly after, I went full-time self-employed with a large part of the motivation to be able to invest more time with her and help my father as much as possible. In my heart I knew death was the eventual outcome of this disease I just never thought about how it would happen. No one ever told me that it would have ups and downs, rallies and pivots, arguments and hugs. I just thought she would go peacefully into that good night. Here is how I have been managing my time while also making sure I watch over the woman who helped raised me to be a winner. First things first - To me this means making sure that I put the most important item on my to-do list first. Most mornings that means getting in to see my Mom and making sure nothing has changed with her condition. But, a few mornings last week, that meant making sure I finished up a new client proposal, sent out my speaker’s bio, and replied to a new request for me to speak. A couple mornings last week I had to make sure I took the time while the sun was rising to make sure my business was on track. That way when I get to my mother’s bedside I can focus on her. The other reality of my mother’s disease is that most of our time invested together doesn’t involve talking. It simply involves what she did for me when I had cancer, a presence. Me sitting next to her - often I have my laptop open and am still able to work while she rests. Notify clients - I had to let a few clients know what was going on. Many of my clients like working with Social Impressions because they know 99 percent of the time I am the magic behind the work we produce. That’s a blessing and a curse. When I’m not available due to a family illness, things can fall behind. I felt it was necessary to let my clients know what was going on. Telling my clients about something so personal was a bit challenging. I feared, and still fear, they would see it as an excuse for errors I made or work that was a little late. But, in my heart, I felt they needed to know the situation. We’ll see if I was correct in the future. Give thanks - I am lucky to have a rock star wife who supports me 100 percent when I go rushing out of the house because hospice just called for the third time that week. It’s important I help her realize how much her support means to me. For me that means I have to remind myself to thank her. Quite literally…I put it in my calendar. Does that make my thanks disingenuous? I hope not…it just means that I know when I get home I’ll be exhausted and I don’t want my appreciation to get washed away with my late-night shower or attempts at getting caught up on the work week. Plan - The final thing I have had to learn is to plan each day with my mom as much as possible. Here’s what that means: I make a list either on paper or in Evernote of each item that has to get accomplished while with my mom. That way when I’m in her room, while she sleeps, I can write a blog, manage a client or send emails. Throughout the day nurses come in and check on Mom and talk with me. This means my day will be broken into 30-minute chunks typically. The list is vital so I can get back on track. I also make sure I take the time to read to my mom, sing to her, or just sit and hold her hand. It’s important that is on the list - otherwise I can get caught up in work while she sleeps and never actually invest quality time with her. As this journey continues and my mother prepares to meet her Heavenly Father, I’ve done a lot of reflecting. I’ve realized how thankful I am that I am my own boss. I’ve realized how lucky I am to have amazing clients who support this journey and allow me flexibility. I’ve also realized that life and death are unpredictable - that every day the sun rises is a chance to make someone feel loved - and that I’m thankful for a mother who constantly told me to pursue my dreams and be the man she believed I would be. Too often it takes tragedy to bring awareness, concern, and action to an issue. The life threatening danger of carbon monoxide poisoning is one such example. Just weeks ago, four young adults in Byron, Maine died as a result of carbon monoxide (CO) poisoning. Carbon monoxide is often referred to as the “silent killer” because exposure to the poisonous gas is odorless and tasteless--making it difficult to recognize. However, exposure to the poison can be prevented--and early detection is possible. This session, I sponsored a bill that was passed and will become law that will require more buildings such as schools, sorority and fraternity houses, childcare facilities, hotels, motels, and B&Bs to have carbon monoxide detectors. Like smoke detectors, carbon monoxide detectors are a sure way to warn us when danger is present. However, unlike smoke where you can smell and notice the threat, carbon monoxide is much more dangerous--without a detector, it is not noticeable. Gov. LePage vetoed the bill, but both the senate and house overrode his veto. It comes down to this, according to law, smoke detectors are required everywhere; and now, this new measure asks the same for CO detectors. My hope is that some day every building and home in Maine has a CO detector. For around $20 to $30 a CO detector can be purchased at nearly any store. Typically, they are battery powered and should be placed outside each sleeping area. It is worth the investment to have the peace of mind that you and your family will be alerted to the presence of this poisonous, odorless gas. Over 100 emergency department visits occur each year in Maine because of carbon monoxide exposure, according to the Maine Center for Disease Control. Knowing the signs and symptoms of carbon monoxide exposure is important. Warning signs are flu-like symptoms without fever, such as headache, nausea, vomiting, dizziness, drowsiness, and confusion. Should you suspect CO poisoning, leave your house immediately and call 911. You can also call Northern New England Poison Center at 1-800-222-1222. But most importantly, do not go back into the building until you know the carbon monoxide levels are safe. Carbon monoxide exposure is more prevalent in winter months, when snow banks block air vents and generators are used for back up. In fact, carbon monoxide poisoning can rise as high as 30 cases of exposure per week. But, carbon monoxide detectors are only one half of the solution toward ensuring safety. An aggressive statewide public awareness campaign about the dangers of carbon monoxide is integral to our collective safety. 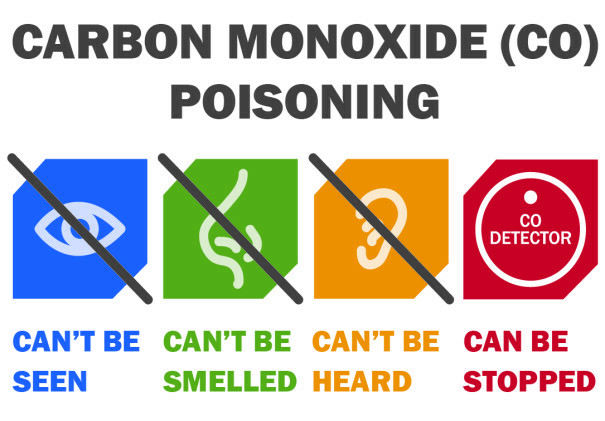 By utilizing organizations that are already invested in public safety--such as the state firefighters union and the Professional Firefighters of Maine-- we can spread the word on carbon monoxide safety and provide tips for avoiding common deadly mistakes. Currently, some local fire departments visit schools and teach children about fire safety. Carbon monoxide exposure and poisoning could be added to their curriculum. Just as we’ve seen with universal seatbelt usage, if we start early by teaching our kids on safety measures, they too can become strong messengers on the importance of CO detectors in the home. Energizing our schools and fire safety professionals will be my next step in hoping to find a straightforward way to get the message out. Our efforts also need to expand beyond schools. Municipal organizations, community service groups, and many others need to take this on as a serious project. For example, perhaps a well known business would be willing to help finance the printing and distribution of print materials for or sponsor the production of a PSA for TV, radio, and local movie theaters. I pledge to help initiate such efforts in our communities and among our citizens. 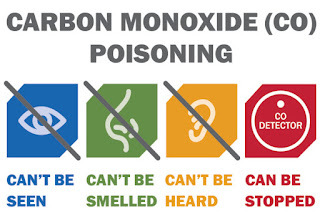 The bottom line is that carbon monoxide poisoning can be prevented. With increased CO detectors in use and widespread understanding about this “silent killer” lives can be saved.